No one, not even North Korea, believes it could win a war against the United States. But much of how a war would unfold depends on two things: who strikes first and how accurately the United States can identify and take out North Korean missile and artillery positions. If the United States decides that war is inevitable, it can strike first and take out much of the North Korean offensive power before it can threaten Seoul. It is all but impossible, however, that the United States and its allies could entirely wipe out any offensive capability. That means rockets and artillery shells landing in the densely populated South Korean capital. How severe the death toll would be would depend on how quickly the United States could end the war. A preemptive strike combined with a successful decapitation effort to take out North Korean leadership in the government and military has some chance to do that quickly. Both the United States and South Korea have made decapitation a much publicized element of their offensive efforts. In December, South Korea slotted $310,000 for equipment for its decapitation unit, the Korea Herald reported. “The equipment includes suicide drones, surveillance drones and grenade machine guns,” an official from the defense ministry told the Herald. 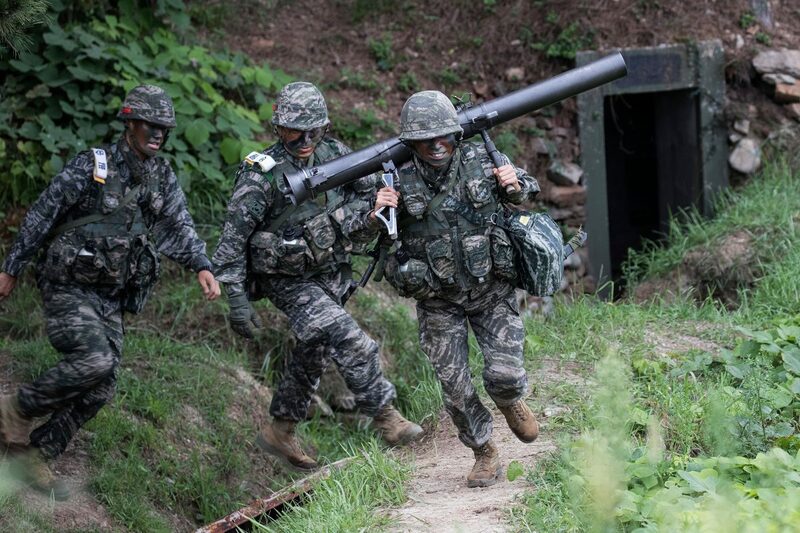 South Korea passed a $39.7 billion military budget in December. While that is a fraction of the $700 billion military budget Trump signed on Dec. 12, it still represents a potent threat to the Kim regime. Given that both countries have well-trained forces that have drilled for years to counter any North Korean attack and quickly win a war, it’s possible they could rapidly overwhelm North Korean forces. Intelligence would be essential to success. Knowing where key regime officials were located, as well as critical military infrastructure and missile launch sites would be decisive. In the best scenario, a crushing preemptive strike that took out key regime officials could convince the second and third ranks to negotiate a rapid conclusion to the war if they had a reasonable expectation of safety. For that to happen, the United States and its allies will need to have communicated plausible scenarios to the regime that would convince the elite they would do well to negotiate peace rather than fight to the bitter end. The greatest threat in this scenario is that the Chinese regime will be more inclined to defend North Korea if the United States moves first. Simply assassinating Kim Jong Un or taking out his key generals is another possibility but only if the United States believes the regime would not immediately launch a counter attack. 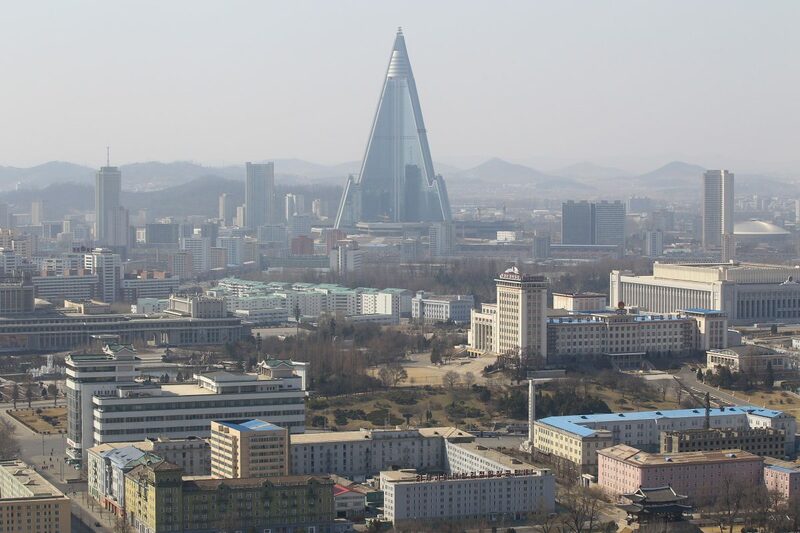 Given the extreme isolation of North Korea, making that assessment is all but impossible. For that reason, U.S. war planners may believe the best course of action is to combine any decapitation effort with a full attack to limit the North Korea counter strike. Another scenario could involve the United States risking a major North Korean offensive in an effort to convince Kim Jong Un that he has no choice but back away from his current nuclear brinksmanship. 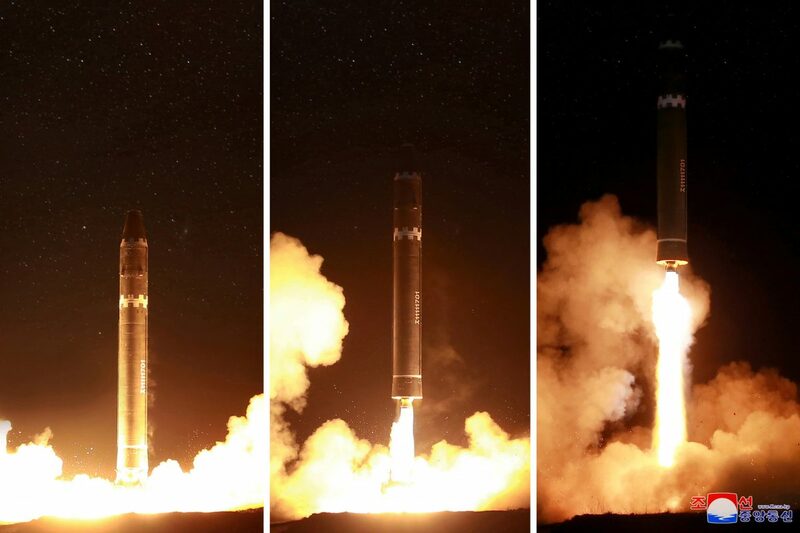 Rather than launch a full-out attack, the United States and its allies could launch a limited offensive to take out the next North Korean ballistic missile test before it launched or destroy its submarine currently under construction, which is believed to be capable of launching nuclear-tipped ballistic missiles, before it can be deployed. If such an offensive falls short of scaring Kim to the negotiating table, North Korea would almost certainly retaliate. The regime has proven it is willing to risk war repeatedly in the past. Under North Korea’s previous leader, Kim Jong Il, the regime fired around 170 artillery shells and rockets at South Korea’s Yeonpyeong Island, killing four and injuring 19 in 2010. 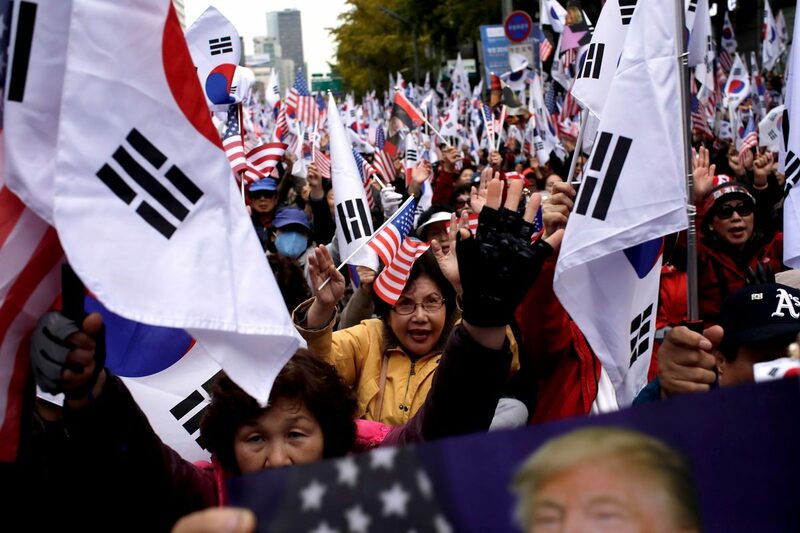 The attack came amidst rising tensions over territorial claims in the adjacent waters, a recent North Korean uranium enrichment facility being revealed, and a South Korean military exercise. Earlier that year the regime also sunk a South Korean corvette in the Yellow Sea, killing 46 seamen, though North Korea denies responsibility for the attack. But the current climate is much different than it was in 2010. Back then the regime may have had far more certainty that it would not face an invasion. This time around it can have no such confidence. If Kim is convinced retaliation will lead to war, and war will lead to his own demise, he may take the rational course and pursue dialogue. 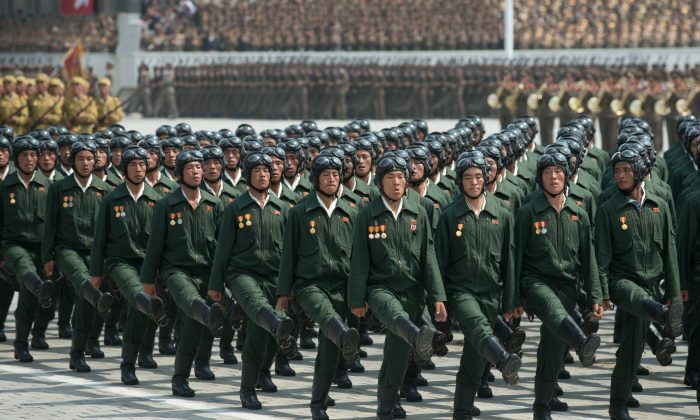 North Korean dictator Kim Jong Un and troops in this undated file photo released by North Korean state media.